Have you toyed with the idea of opening your home to a dog — but don’t know if you or your family are ready for the commitment? Do you already HAVE a dog or cat and wonder whether they will accept a furry new addition? Well, this is the show for you. SoulPup offers a judgment free zone where you can hear what it takes to raise happy, healthy dogs. In this episode, we talk to Diane Stapley, a busy executive who regularly opens her heart and her home to foster animals through Austin Pets Alive. Diane shares what’s REALLY involved in fostering a dog — how you can help save a life, and she also shares tips to help other pets adjust to the furry new arrival. Diane Stapley fostered a cute pup named Dot Warner, who battled several medical challenges before finding her forever home. Plan ahead. It takes a time commitment to open your heart, home and schedule to an adoptable animal. If you already have pets, it also means taking time to get your fur kids adjusted to the new arrival. Understand the financial commitment. Many shelters and rescue organizations will provide basic supplies such as flea and tick preventatives. Items that you provide — pet food, leashes, trips to the vet — can be tax deductible. Small risk, maximum reward: Fostering helps an adoptable dog get adopted faster by placing it in a home environment where there’s structure. Stanley notes that the transition from a shelter helps dogs adjust faster to home life and reduces the rate of return due to a lack of fit.Yes, it can take time for dogs and cats to adjust. But it truly does make a difference in the life of a dog. Seeing an animal that has been orphaned, abused or critically ill return take a turn and thrive can be incredibly rewarding. Most importantly, every time you open your home to a foster dog, you create space in a shelter for another dog, saving a life. Work your social network: Once you do open your home, share frequent updates on social media to keep potential adopters apprised of the dog’s personality, fun quirks and other escapades. Contact your local shelter and ask about the process. You may need to complete paperwork and schedule a home check. Be open about your family dynamics. They are your best advocates to find a dog that will be a good match for your home and lifestyle. Be sure to set and maintain a routine. Dogs thrive when there’s a set schedule. This truly helps them adjust to home life and makes the transition easier in a forever home. Be prepared to share frequent updates to help the dog get adopted. You may also need to transport the dog to adoption events. If you have pets, make sure vaccinations are up to date and slowly introduce the new arrival. Separation is not a bad thing, particularly at meal time when some dogs can become possessive. Diane’s approach of treating fosters like guests is good advice. Encourage socialization. Diane welcomes friends to visit foster dogs. This helps them socialize and get acclimated to new situations, increasing their chance for adoption. There’s a rite of passage for every dog owner. It’s that moment when you have to pry your dog’s mouth open and fish out something that it shouldn’t have. In fact, it happened to me just the other day when I had to pull an M&M out of my dog’s mouth. Yes, there is that moment when you debate whether to dive in or just let them what they found. Since it started with me catching him chewing, I wasnt sure what he had and and wanted to play it safe. That’s ALWAYS preferable to a vet visit. So in this episode, we focus on seemingly harmless people food that dogs should AVOID because they could get very sick or even die. They seem so harmless, and green grapes are actually my favorite snack. But consuming grapes and raisins can cause kidney damage and even sudden kidney failure in dogs. When I do have grapes at home, I make sure to keep the bowl far from my dog’s reach. That means, I avoid sitting bowls on low coffee tables or on the floor during tv time. It’s simply not worth the risk. And if you have small children, you know that when they snack — treats land EVERYWHERE. So be extra cautious. If you listened to Episode 2 of this podcast, you know that we featured trainer Rachael Maso with the American Society for the Prevention of Cruelty to Animals (ASPCA.org). Rachel offered some excellent tips about dog-proofing your home. My favorite tips was to regularly check things out from a dog-eye level. That’s a good way to find potential dangers. In the case of those M&Ms, my nephews had paid a visit and the candy fell under a couch. No surprise that the dog would sniff out goodies. So the next time I have little kids visiting, I’ll be sure to sweep the house from Louie’s eye level. These are some of my favorite ingredients in savory dishes. But garlic and onions — members of the allium family of plants — can cause stomach upset for dogs. This means, avoid giving your dogs table scraps of goodies like salsa or pasta coated with pesto sauce. No one wants to clean up after a sick pet, especially if it’s from something preventable. It seems like common sense to have your dog avoid alcohol. Again, this can be an issue when you have people over and beverages are within a dog’s reach. Be sure to exercise caution and keep beverages out of reach. This means you don’t leave an icy cold beer can on the floor where it can tip over. Same for those red SOLO cups filled with alcoholic concoctions. If you have guests visiting for cocktail hour, play it safe and give your dog some kennel time with a good treat. Consuming alcohol can cause vomiting, stomach upset and even death. Again, watch where you sit those coffee mugs and soda cans. Caffeinated products contain a substance called methylxanthine, which may fuel your day, but can wreak havoc on a dog’s system. The list of side effects includes vomiting and diarrhea — which is more than enough for me. Consuming caffeine also can cause excessive thirst, abnormal heart rhythm, seizures and even death. Most dog owners know the dangers of chocolate and keep it away. But life happens — just like with my dog and the M&Ms. Make sure you keep candy out of reach — let guests know that chocolate is off limits — and try to be extra vigilant during the holidays when chocolatey treats are most popular. In the US that means (February – around Valentine’s Day, April – during Easter, and then entire month of October, which kicks off the holiday season with Thanksgiving in November on through to Christmas in December. gifts. Health hazzards are similar to consuming caffeine. Note: Dark chocolate is more dangerous than milk or white chocolate because it has higher levels of methylxanthines. This isn’t a product you think about, but xylitol is a sweetener that can be found in several products, including gum, candy, peanut butter and yogurt. I added Xylotol to the list after watching a news report of a dog that required emergency vet care after eating a pack of sugar-free gum. The owner said he had no idea that the gum contained toxic ingredients. Fortunately, his dog survived. You should know that — even in small amounts — xylitol can lead to liver failure in dogs. Warning signs can include vomiting, and loss of coordination or even seizures. If you think your dog has consumed a product with xylitol, contact your veterinarian immediately. What if your dog DOES eat something dangerous? Make sure you have your vet’s number programmed into your phone and easily accessible around the house for family members. Often, they can share tips to address the issue immediately. If you notice the problem after hours, visit your nearest 24-hour emergency vet. Search by ZIP code to find a facility accredited with the American Animal Hospital Association (AAHA) near you. There are a few options available. I recommend the ASPCA Animal Poison Control Center (APCC) hotline, operated by the American Society for the Prevention of Cruelty to Animals or ASPCA.org. The number is 888-426-4435. Experts are available 24 hours a day, 365 days a year. There is a fee, currently it’s $65, but that’s less expensive than emergency vet consultation. Download and save SoulPup’s handy list of people foods your dog should avoid. Print and add your vet’s contact info, then place on the fridge or in an easily accessible area of your home. 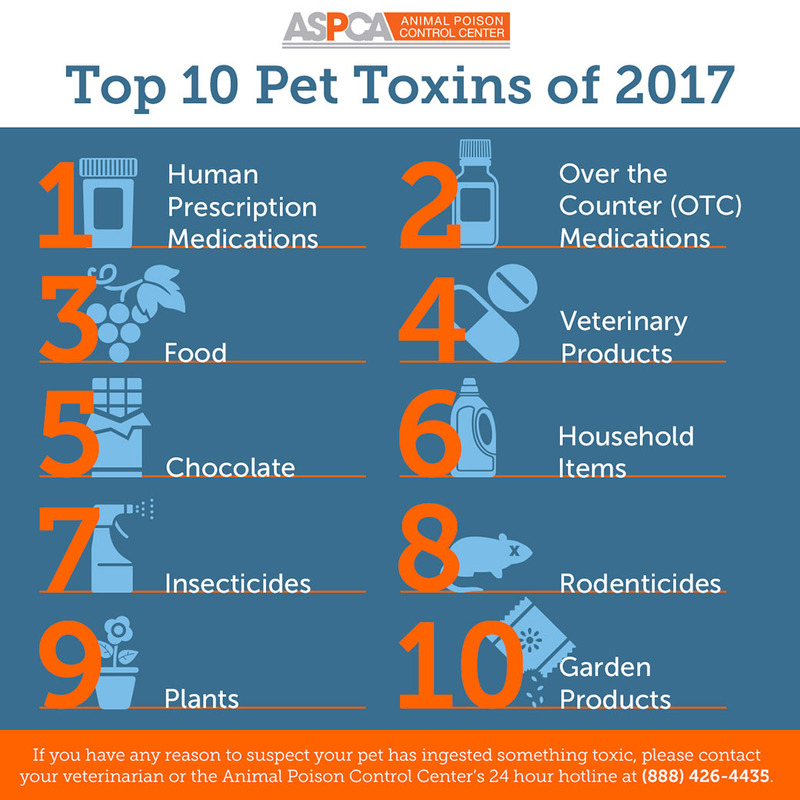 Also, download the ASPCA’s list of the Top 10 Pet Toxins. Review the show! That’s the BEST way to pay it forward and help other dog lovers find us. Have a question or show idea? Email us at info@soulpup.com today. Make sure all family members have easy access to these numbers. It helps to place this list on the fridge and keep it in all mobile phones. Veterinarian’s number: It helps to call ahead when there is an emergency. Vet clinics also may offer expert advice by phone. After-hours animal hospital: Dogs don’t always get sick during business hours. Ask your vet to recommend an after-hours facility and keep that info handy. If you are traveling and need emergency assistance, the American Animal Hospital Association (AAHA) offers a handy search tool that lists AAHA-accredited hospitals. Poison Control hotline: The American Society for the Prevention of Cruelty to Animals (ASPCA.org) operates a poison control center and hotline (1-888-426-4435). There may be a consultation fee, but it is worthwhile for 24-hour access to information. Also, bookmark the site and visit if you are curious about potentially dangerous plants or food. For example, aloe and raisins are toxic to dogs. Expert tips and tricks for dog lovers. To make every dog’s house a forever home by offering expert advice on health, gear and training. A caramel-colored whirlwind named Lulu who came into my life because my then-boyfriend wanted a dog. Actually, we got Lulu. Then, we broke up and he moved away, leaving me with stained carpets, a shoe-loving pit bull puppy — and no clue how to care for a dog. That’s where our story began more than a decade ago. No matter how many mistakes I made, Lulu accepted me and embraced each day, challenging me to do the same. Lulu crossed the Rainbow Bridge in 2014. A year later, I healed enough to start all over again with a feisty French Bulldog puppy named Louie B. Upton. A friend told me that everyone is a great dog owner the second time around. SoulPup.com features expert advice to help you get it right the first time. Consider this a judgement-free zone to ask questions and get help. In honor of Lulu, the motto on SoulPup.com is Celebrate Your Dog’s Inner Puppy. Lulu and Tonka share a kiss. Our former foster pooch now has a forever home. Finally, good deeds no longer go unnoticed at tax time. Examiner.com reports that you can now file a claim for expenses incurred from foster pets. That one change could help save more pets from euthanasia. Rescue groups rely on a network of foster homes to help them care for animals the pull from shelters. Some of the larger rescues pay for heartworm preventatives and flea medications, but many are unable to cover the cost for food, toys and other supplies the make a dog a pet. Getting reimbursed for even a portion of those expenses may entice more families to open their doors. Lulu and I have fostered our share of pets over the years. We will never forget our buddies Dylan, Tonka and super lovable Hooch the pooch! Each now has a happy forever home. Consider paying it forward by fostering a pet in 2012. For more proof that it can save a life, check out Tonka’s story. How do I make the vet less scary for my pets? Some positive, non-probing experiences at the vet can go a long way in soothing an anxious dog or cat. Q: My older pets hate going to the vet and usually act out before we even hit the exam room. How do I make the vet less scary for my cat and dog before that behavior rubs off on our new puppy? A: My dog Lulu gets so excited about leaving the house, that she’s practically on the exam table before realizing it’s time for a checkup. But some dogs do struggle with visits to the white, sterile surroundings of a veterinary clinic. Difficult doesn’t mean impossible. With a healthy dose of desensitization and counter-conditioning, you can change unwanted behavior. Collins offers these tips to help transform your fearful pooch into a tolerant patient. If the fur flies early on, start with treks to the parking lot, then the waiting room and eventually the examination rooms. Most vets will happily play along, especially since it eases the process during real visits. “I am perfectly OK with pets coming in just to get cookie treats,” says Dr. Annie Price, owner of Ormewood Animal Hospital in Georgia. Price welcomes clients to bring pets in, sit in the lobby and leave. She brings her own two dogs to the office all the time, whether for a checkup or not. If your cat is anxious, avoid forcing the issue. Collins warns that it will only cause more damage. Replace treats with your feline friend’s favorite toy, scratching post or other treasured item. Make sure it accompanies them during those trips to the vet. “Change what the animal fears by associating bad things with things the animal likes,” she says. Call in reinforcements: Patience is the key to helping your pets overcome anxiety about vet visits. If your efforts at counter conditioning don’t work, consider hiring a certified professional dog trainer to address any underlying problems. You also can request that your veterinarian recommend a doctor who makes house calls. But some procedures, such as dental care, must be performed at the office. Remain positive. Eventually, that trek to the vet should become less stressful.